A dear student, if you are preparing for Sarkari Naukri in police department then it’s a right chance for you. 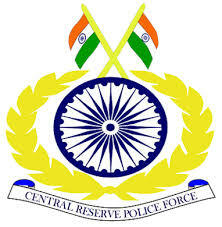 Central Reserve Police Force (CRPF) is accepting applications for the posts of Constables (General Duty) and Constables (Tradesman). Total 743 vacancies only for ST category in these total positions of CT/GD-639 and Constable /Tradesmen-104. Only from the Bijapur, Dantewada, Sukma, & Narayanpur of Chhattisgarh States, candidates can apply for these positions. Pay Scale : Rs. 5200 - 20200 grade pay Rs. 2000/- Now pay matrix level 3 after 7th Pay Commission execution. Education Qualification: Matriculate / 10th. Interested applicants can check complete advertisement details and procedure about the application for these posts at the official website of the department from 14-19 Oct 2016 for the posts of Constable (GD) and from 20/10/2016 to 24/10/2016 for the posts of Constable (Tradesman).